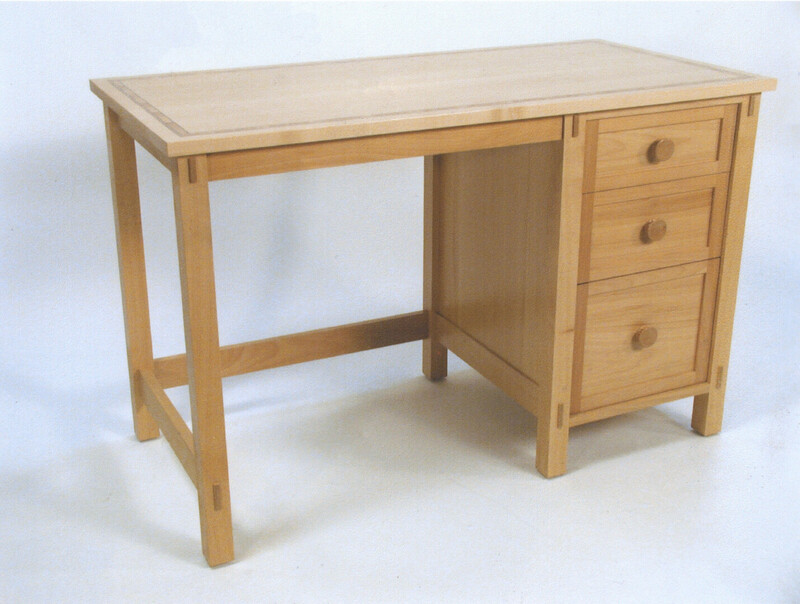 A beech computer desk and nightstand built for my second daughter Carey who, as it turned out, usually sat on the bed as she worked with her laptop. 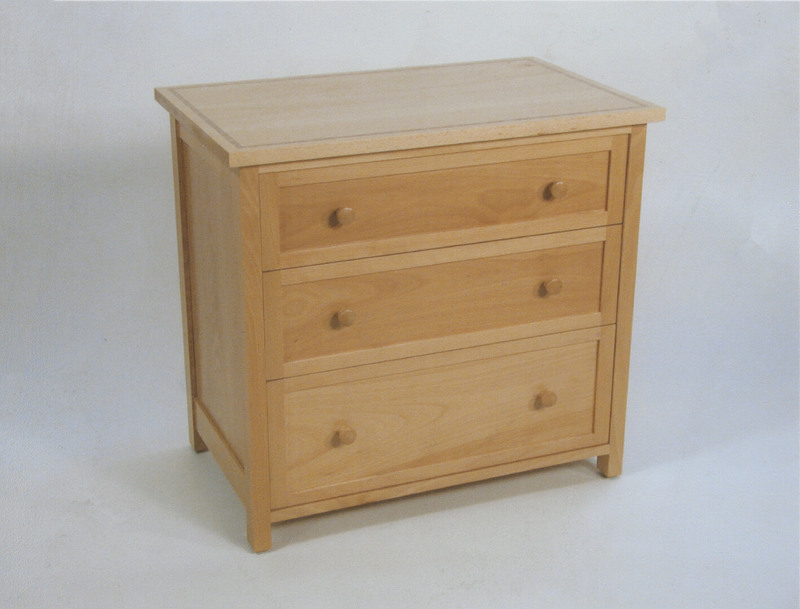 The desk had one file drawer and a very shallow pencil drawer (the desk height was only 28″). 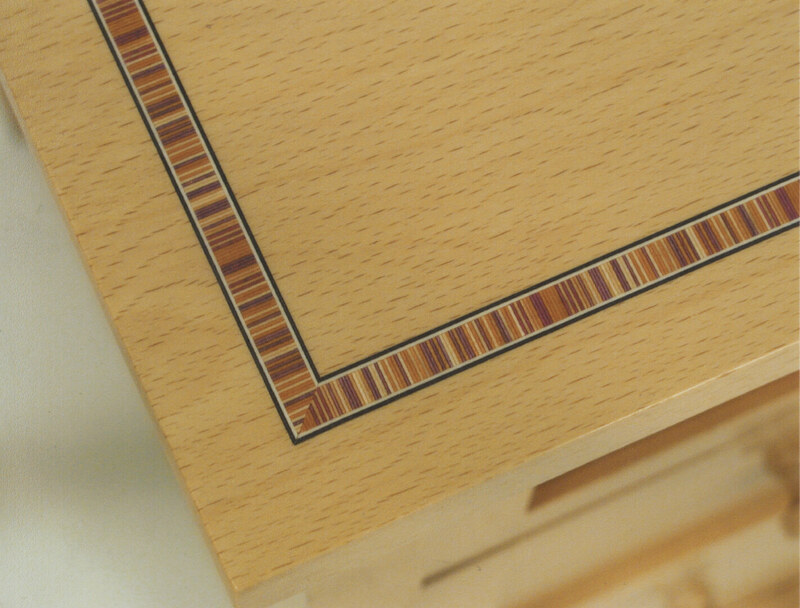 The nightstand/dresser, like the desk, featured an inlay banding that Carey chose from samples at my shop.